Heart and Sole: The Cathedral of Palms - I got religion! What a splendid day! 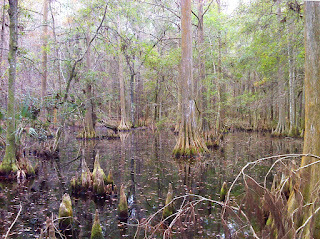 I made it to St. Marks by the end of the day, walking through the west half of the St. Marks National Wildlife Refuge. 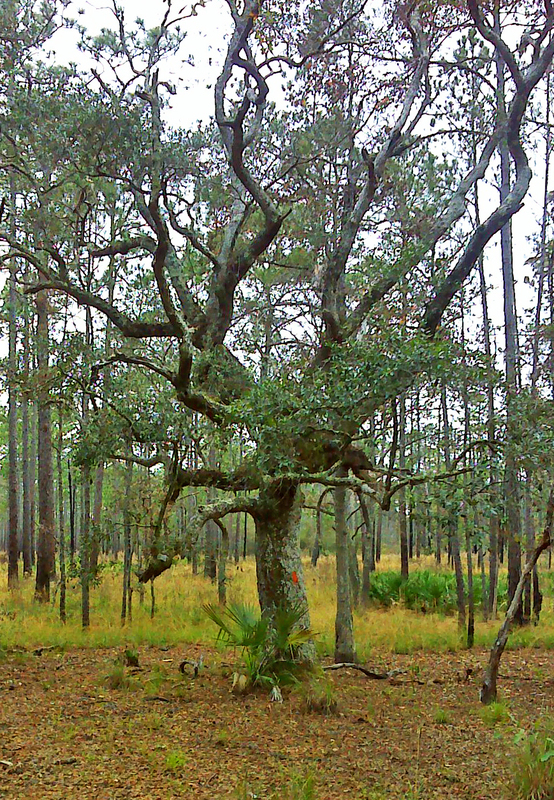 This Refuge covers many miles along the Big Bend area of the Gulf Coast, and it contains a long list of interesting sights. 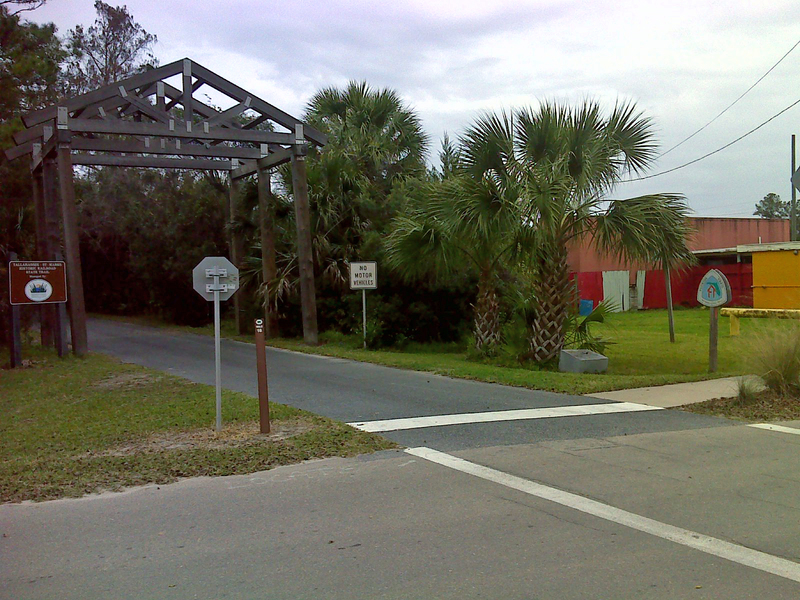 The Cathedral of Palms is at the top of that list -- a half mile of trail where Sabal palmetto dominates. Then there was Shepherd Spring - first of what I expect will be many more of these deep clear pools with a blue cast to the water. This one didn't photograph well, but at fifteen to twenty feet deep, the bottom was as clearly visible as if it had been a mere few inches below the surface. I should have taken the time to plunge in, but I honestly didn't think to do so until I had left. 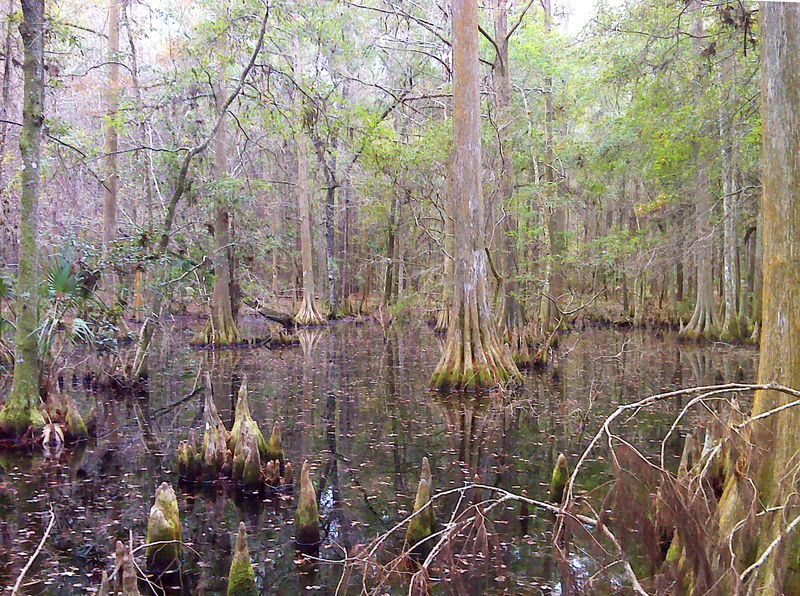 Then I passed a cypress bog in which the light on the knees and buttressed boles just seemed magical. I walked on well-groomed trail through a mature pine plantation with straight long rows of big mature pines. Normally I find plantations to be dreary hiking, but this one was fun, and it was followed by a long stroll through some ancient natural forest, with many a huge tree. My head was turning from side to side constantly as I marveled at this congregation of old lords and earls of the deep woods. Inexplicably in the middle of this was a hill of sawdust--eight or ten feet high, covering half an acre. I guess the stuff didn't decay, because there was no evidence of any logging in this area for the best part of a century. I was entering an area where the limestone bedrock comes right to the surface. 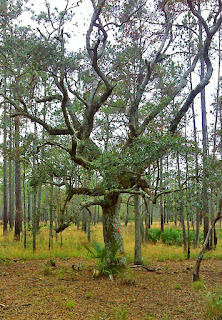 Florida had been one long sandy hike for the most part, so rocks along the trail definitely caught my attention. 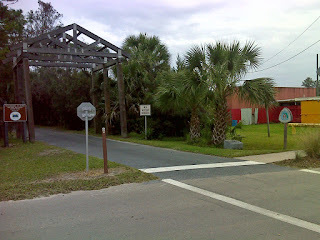 And then I headed into 'downtown' St. Marks via three miles of the new rail trail that runs all the way to Tallahassee. 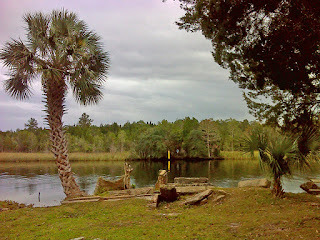 It's all open now, and there are two rest rooms just on the three-mile Florida Trail part. And at the end is the St. Marks River where, across on the other side, a Florida Trail sign beckons. Most hikers hitch a ride across on a boat, but not me. I have a strict 'CONTINUOUS FOOT PATH' rule for this hike - no other mode of transportation other than my feet. So I had a road walk bypass to do. That and much more in my next report. Below is a map of today's route, complete with links to many more photos.